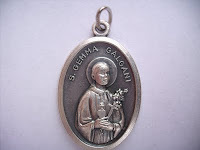 Welcome to this website which is devoted to Saint Gemma Galgani, the "Passion Flower". I hope that you will find in Gemma a friend in Jesus and a very special advocate before our loving God. 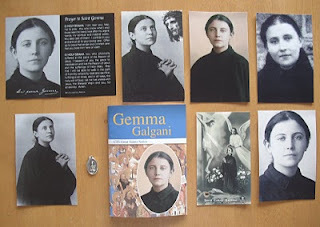 We can learn so much from Gemma, but perhaps the most important thing is the desire to love God with all our hearts. Gemma was not a person of half measures; she loved God with all of her being. Her heart was all on fire with the love of Jesus, and Jesus was everything to her. 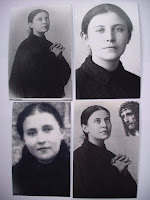 To know Saint Gemma is to love her. 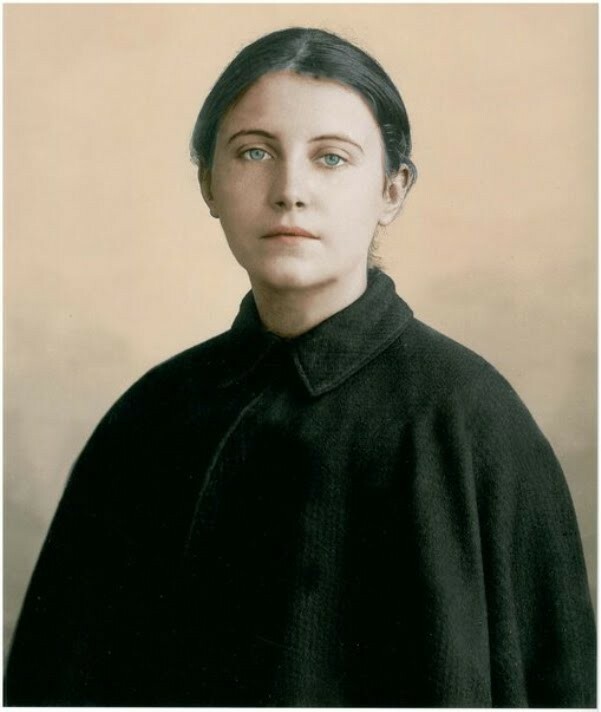 It is impossible to read her writings and not be touched by the fire of her extraordinary love for God, which she expresses so well in her diary, autobiography and letters. 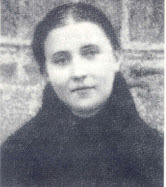 Just one example of her remarkable love for God would be the numerous times that the name of Jesus occurs in her writings. In fact, as one devoted biographer has pointed out, we find that the blessed name of Jesus occurs 1,982 times in Gemma's ecstasies and 1475 times in her letters and 181 times in her autobiography. Patron Saint of Students, Pharmacists, Paratroopers and Parachutists, loss of parents, those suffering back injury or back pain, those suffering with headaches/migraines, those struggling with temptations to impurity and those seeking purity of heart. Feast Day: April 11th (or May 16th for those in the Passionist Congregation). "Oh love, oh infinite love! .....Oh love of my Jesus! ....Let Your love penetrate my all; from You I want nothing else. My God, my God, I love You. But, per­haps I love You too little, oh Jesus?....Oh, if all were to know how beautiful Jesus is, how loving He is! They would all die of love. And yet, how is it that He is so little loved?" "Is it possible that there are souls who do not understand what the Blessed Eucharist is? Who are insensible to the Divine Presence.....to the mysterious and fervent effusions of the Sacred Heart of my Jesus? O Heart of Jesus! Heart of love!" "Yesterday, in the presence of Jesus in the Blessed Sacrament I felt myself burning so fiercely that I had to go away. I felt stunned that so many could stay so close to Jesus and not be reduced to ashes. I felt that I would be consumed. Jesus is such a sweet and irresistible Lover; how can one fail to love Him with one's whole heart and soul? How can one not wish to be wholly united in Him, and consumed in the flames of His holy love?" Click here for more..... "
"...So Jesus, do not leave these poor sinners to themselves. I am willing to do something. You died on the cross; make me die too. Since these sinners are your sons and daughters, do not abandon them. 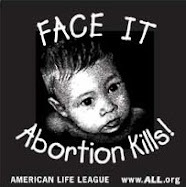 Jesus, I want them all to be saved. If you desert them, there is no hope. Must not I be the one to suffer for them? Then arrange it so. You have so many sinners, but so few victims..."
"I hope for mercy from Jesus, mercy for me and for all poor sinners. If I could, I would atone for all of their sins and also for mine. " This last reproof sufficed and served to detach me from every creature in order to turn myself to our Creator." "....I began therefore, to make the Holy Hour, but I felt myself so full of sorrow for my sins that it was a time of continual martyrdom. However, in the midst of this sorrow there was one comfort, namely, weeping. This was both a comfort and a relief to me. I spent the entire hour praying and weeping. Finally, being very tired, I sat down but the sorrow continued. I became entirely recollected and after a little bit, all of a sudden, I felt my strength fail. (It was only with great difficulty that I was able to get up and lock the door to the room.) Where was I? Dear Father, I found myself before Jesus Crucified. He was bleeding all over. I lowered my eyes and the sight filled me with pain. I made the sign of the cross and immediately my anguish was succeeded by peace of soul. 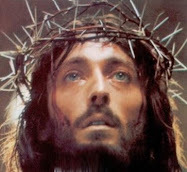 I continued to feel an even stronger sorrow for my sins and I had not the courage to raise my eyes and look at Jesus. I prostrated myself on the floor and remained there for several hours. "My daughter," He said, "Behold these wounds. They have all been opened for your sins. But now, be consoled, for they have all been closed by your sorrow. Do not offend Me any more. Love Me as I have always loved you. Love Me." 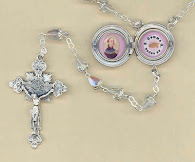 Visit the NEW ST GEMMA STORE for all the items above!